Here are the city’s best spas, restaurants, bars, concerts and more, as chosen by you, our army of readers. Want to see the extended list of finalists? Check them out here. Given that it has become such a stalwart of Dubai’s dining scene, it’s hard to believe Il Borro opened its doors just two years ago. While plenty of restaurants have signature dishes that keep diners coming back for more, at this Italian bistro, everything on the menu stands out. We championed this restaurant last year, and we’re doing it all over again. Each year, a few chefs imprint their names in the culinary language of their cities. Sometimes it’s because their new restaurant reshapes the city’s dining culture. 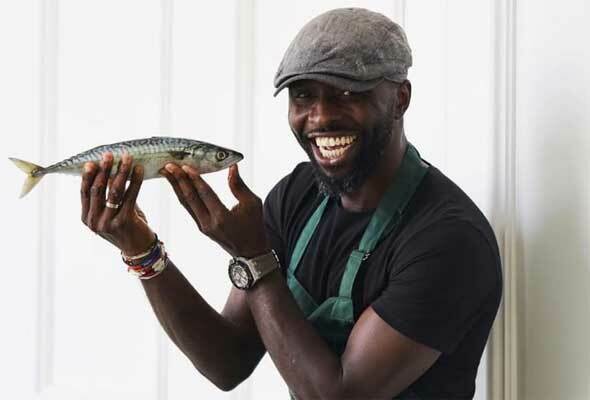 Often, it’s just because their food is so incredible, we want to eat it over and over – and that is at the heart of what Izu Ani is capable of. He can put his hand to anything, whether that’s simple but delicious café food, fine dining French cuisine, or classy Greek dishes. He also serves one of the best shakshoukas we’ve ever had, and just so happens to be one of the nicest guys in town. 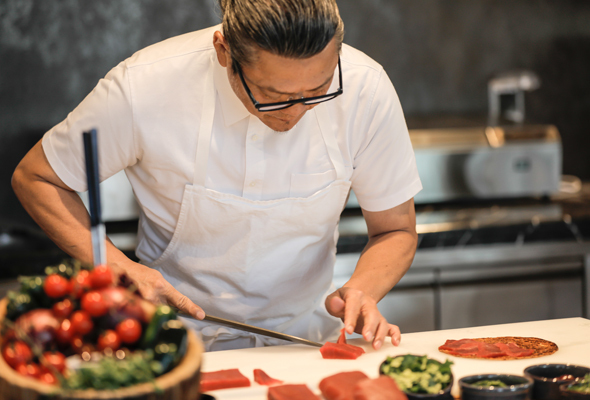 It felt like Morimoto instantly became a major player when it arrived this year, thanks to a menu of impeccably prepared dishes combining bold flavours with lots of creative flair. Probably unsurprising giving the incredible talent of the chef – whose name is emblazoned on the front door. This, together with fabulous service from highly knowledgeable staff in a setting created with loving attention to detail, suggest that the buzz surrounding this worthy winner is here to stay. 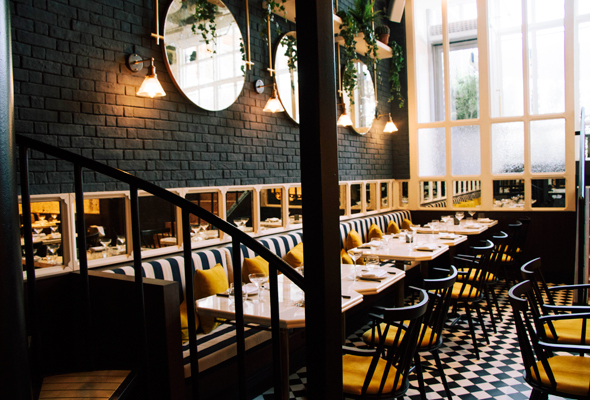 Tucked away in a hidden corner of DIFC, and concealed beneath a wall of foliage with no obvious signage is the wonderful world of BB. Spread across three levels, you feel like you’re dining in a trendy little townhouse. And we haven’t even got round to talking about the exquisite food – an Asian-inspired menu of pretty dishes from baos, bowls, to barbecue bites. Whether you’re popping in for a quick drink and a bao, or sitting down for a full-blown meal, you’re made to feel equally welcome. 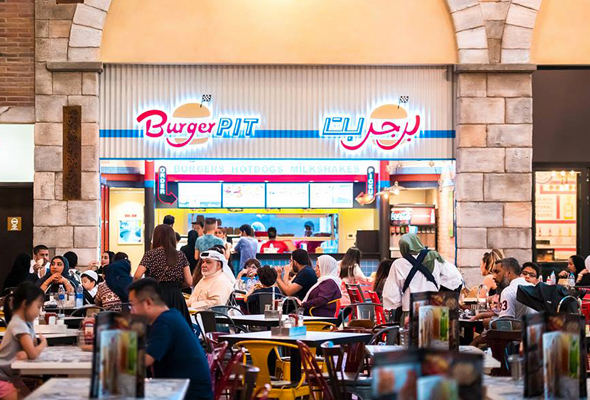 This category is voted for by you: it rounds up the city’s best restaurants where a meal for two would cost over Dhs400. 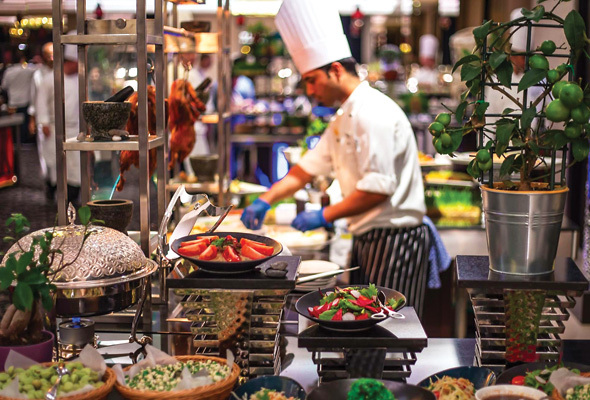 A carnival of flavours erupt, dance and sing from every plate at this classy restaurant in the JW Marriott Marquis Dubai. There is heat in some places, cooler tastes in others, but always the right balance is found at Rang Mahal. A repeat winner after their triumph last year, The Beach House remains at the top of the tree in the international category. 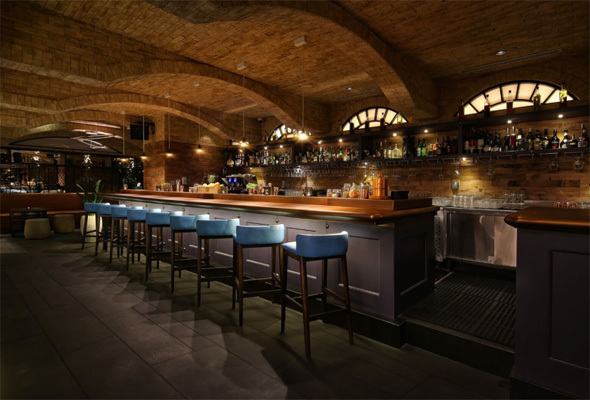 Its open kitchens provide a cracking atmosphere, while the food that emerges from them is always superbly done. 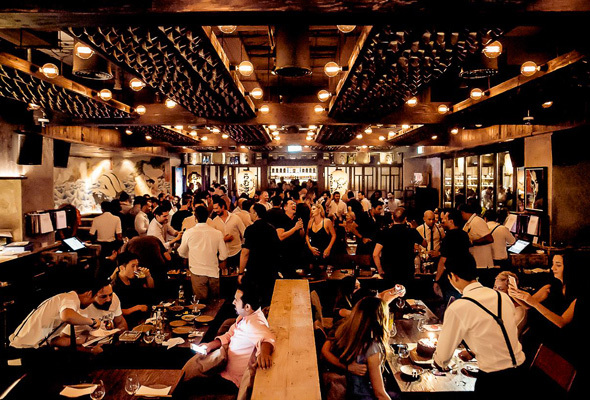 Say the name of this restaurant to any foodie in Dubai and they’ll smile, utter a little ‘oooh’ in appreciation and then tell you how much they love it. It’s a beautiful dining room, with proper service from staff who know the menu back to front and make you feel special. The atmosphere always crackles, while the food is the perfect blend of fine dining and relaxed comfort food that makes you feel good. The second you walk into Ramusake, you’re swept up in the buzz of the place. Yes, the décor is eye-catching, as is the Marina view from the terrace at this pretty restaurant. But the food more than matches the surroundings. 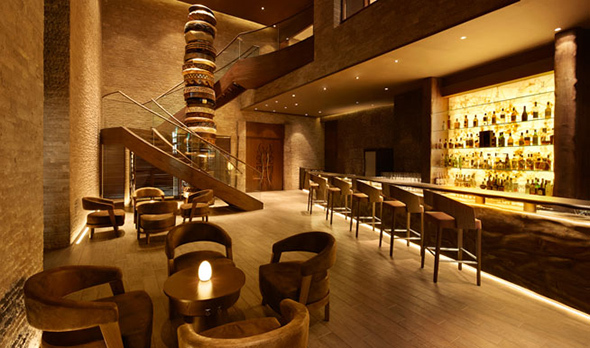 There are delicate maki rolls, smoky barbecue plates, perfectly plump gyoza and a very well stocked bar. Ramusake has it all. 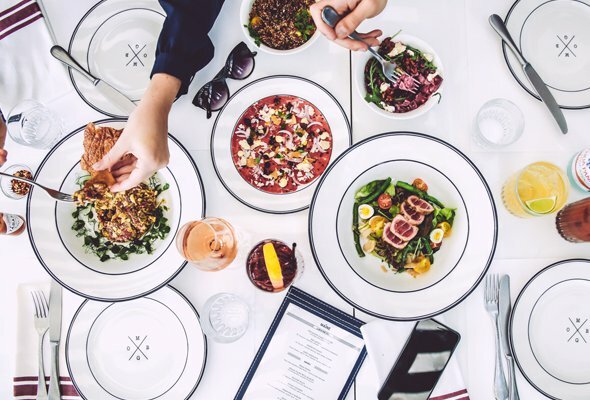 A consistent presence at the What’s On Awards ever since they opened a few years ago, The Maine serves excellent seafood – not to mention one of the best truffle pizzas in town. No fuss, no frills, just first-rate meat at this repeat winner. The steak at Porterhouse comes from all over the world, and it’s cooked to perfection at this sleek and friendly steakhouse on The Palm. 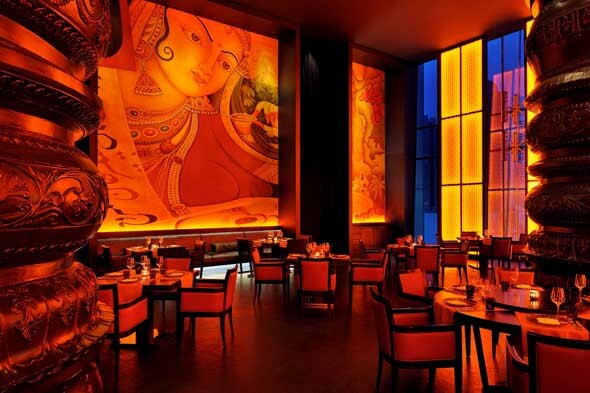 A consistent winner at the What’s On Awards, Pai Thai is arguably one of the most picturesque restaurants in the city. Book a table on the jetty-like terrace and get there at sunset and you’ve got a guaranteed romantic dinner experience. 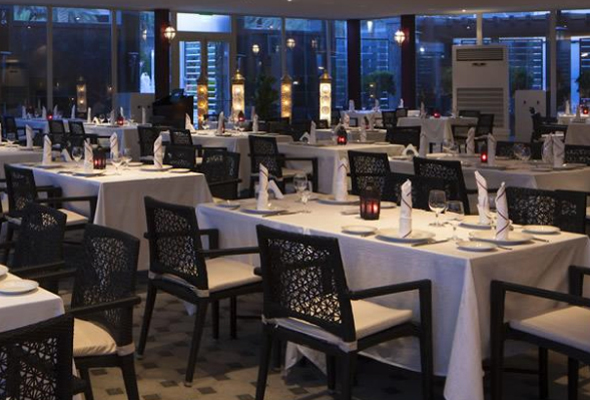 Thankfully, the food and service is excellent too – we’ve never had a bad meal at this Dubai classic. 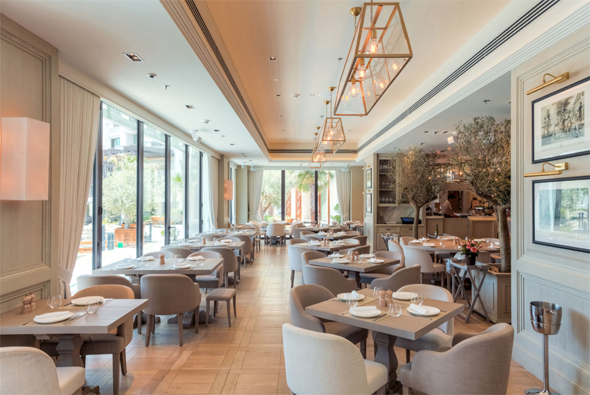 A favourite among Dubai foodies in search of top-notch French cuisine, slick service and a spectacular setting, La Cantine’s burrata pizza has had fans hooked since 2015. 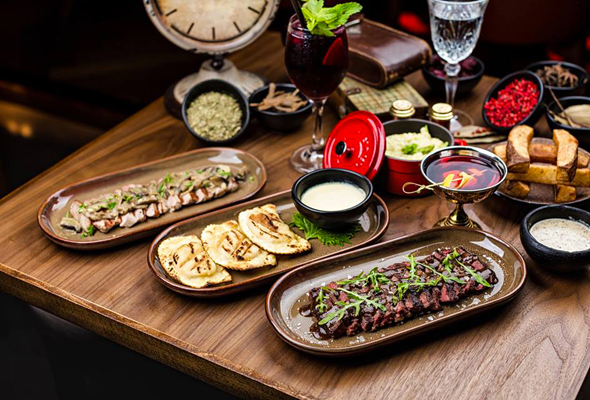 A second-time award winner, Waka opened among a sea of other Peruvian restaurants yet successfully stood out thanks to friendly service, a lively atmosphere and beautifully presented dishes that fuse Latin American flavours in a way many of its competitors could only strive to do. A regular presence on stage at the What’s On Awards, and for good reason. Al Nafoorah serves delicious Lebanese food with a focus on traditional. 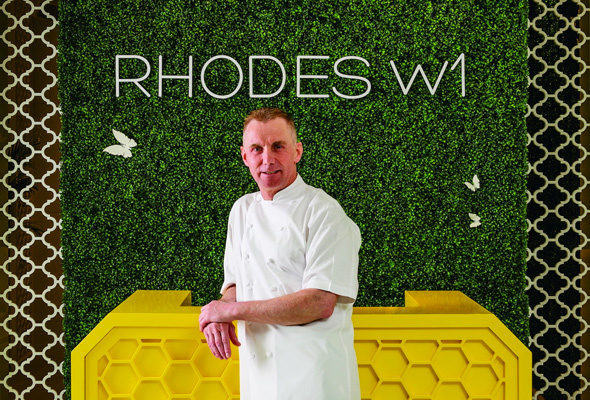 British celebrity chef Gary Rhodes continues to serve up the goods at his fantastic restaurant in Grosvenor House Dubai. 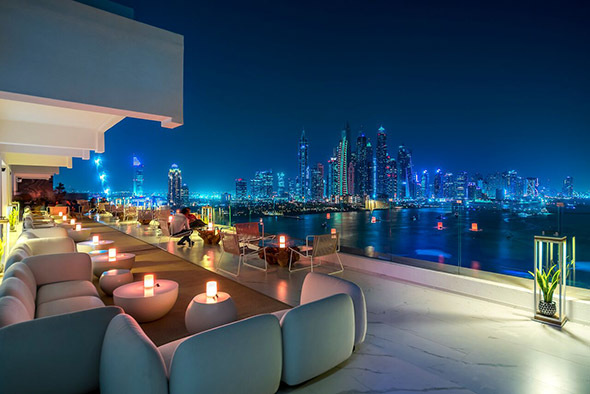 The food is fantastic, especially the lamb cutlets with spiced aubergines – and the view across Dubai Marina from inside this pretty restaurant is just as good. Indie’s menu reads like a check-list of all our favourite dishes: burgers, truffle fries, lobster rolls, padron peppers. No wonder it was a winner with our readers this year. 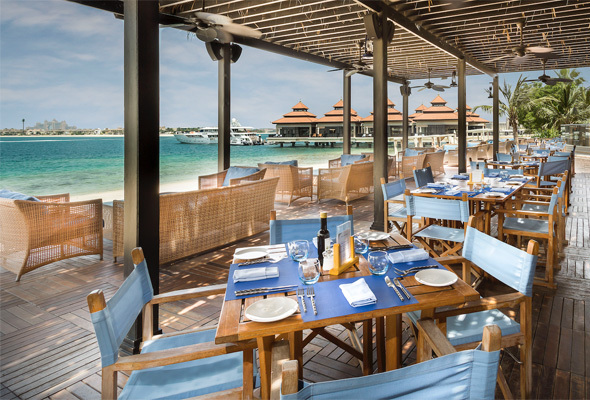 The food at this Palm gem is a perfect blend of Thai, Chinese and Vietnamese flavours – try the king prawns with garlic sauce. 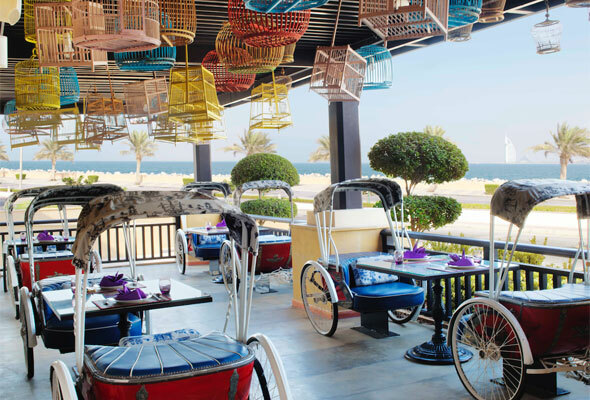 Book a seat on one of the rickshaw tables on the terrace. It’s more comfortable than it sounds, we promise. This category is voted for by you. It rounds up the city’s best events, nightlife spots and days out. Any event that has fans from all over the world swarming to the city is worthy of this top gong. 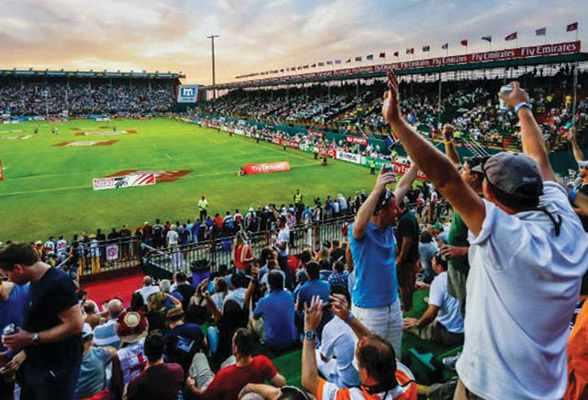 Top level sport is at the centre of a festival of fun renowned for hilarious fancy dress and after-parties that run through the night until the second day of play, when it’s done all over again. When we learned that breakthrough Brit sensation Rag ‘n’ Bone Man would perform at the prestigious Dubai Opera in March 2018 we were excited. How could his gravelly, heartfelt voice sound like anything other than gritty perfection in the acoustically fine-tuned venue? We were right, and his sellout gig was one of the highlights of the musical calendar. From its throwback ‘Mixtape Classics’ Festival, to One Big Friday, Zero Gravity knows how to put on a show when it comes to large scale festivals. 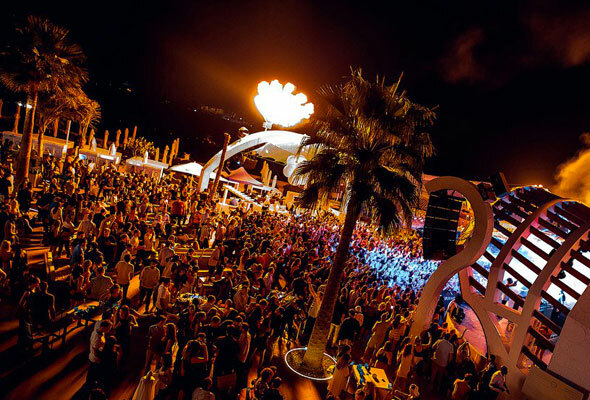 The beachside venue has thrown some top day-to-night festivals over the last 12 months, which have seen the venue welcome headliners as varied as The Vengaboys and Basement Jaxx to Fatboy Slim and Mark Knight. 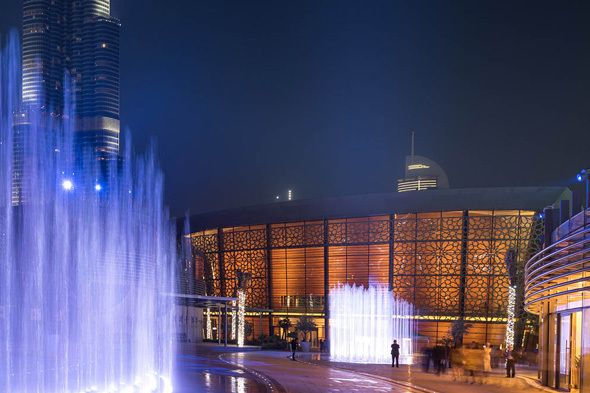 If it’s a wow-worthy Dubai experience you’re looking for, you don’t have to look much further than La Perle. The first permanent, water-based show of its kind, it’s been conceptualized by Franco Dragone, which sets the bar before you’ve even seen the show. 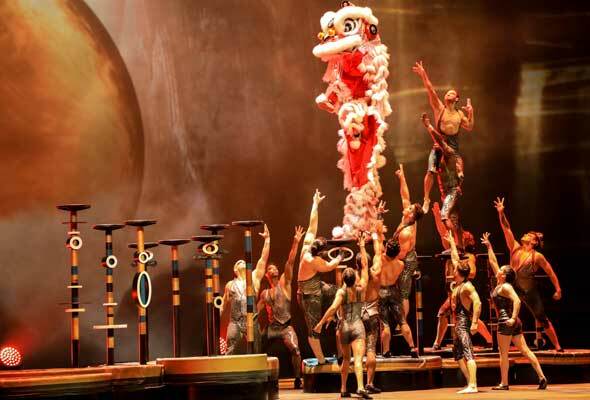 Filled with death-defying stunts and endless ‘wow’ moments, it’s a 90-minute spectacle which comes complete with acrobats, divers (the stage features a diving pool), motorbikes and more. 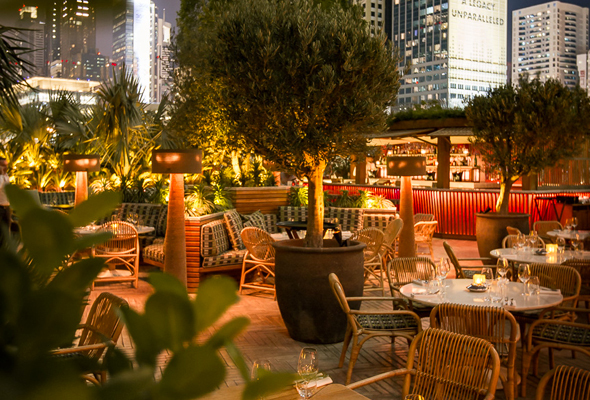 Swanky rooftop spot The Penthouse has the winning formula for a top night out. Stunning views? Check. A lively vibe? Check. A music policy that’s sure to get dancing feet going? Check. Couple that with a ladies’ night offer of three free drinks each Tuesday, and you’ve got yourself a packed out ladies’ night. 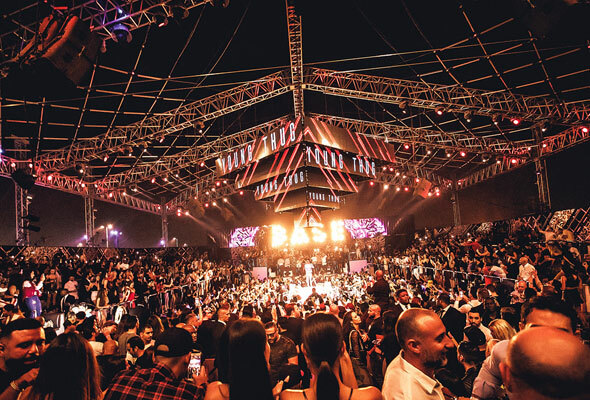 With a state-of-the-art sound system, high-spec decor and space for thousands of partygoers, it wasn’t hard to see why superclub Base shook up Dubai’s nightlife scene when it opened last year. In the last 12-months it’s welcomed superstars including David Guetta, Rita Ora and Jason Derulo, and continues to reinvent its weekly themed nights with live performances and drinks deals for ladies. 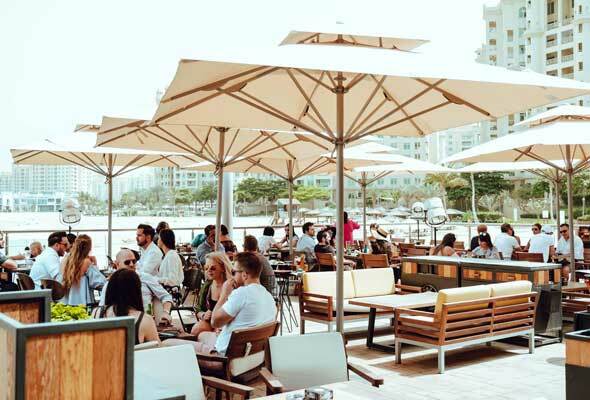 The Tap House has something for everyone: the dark colours, draught taps and cosy booths inside are reminiscent of an old-fashioned British pub, but sitting outside enjoying the ocean breeze and sea views will firmly remind you that you’re in Dubai. Couple this with daily deals and the fact that you can bring your four-legged friends along, and you’ve got yourself a top watering hole. Whether it’s indoors over the summer months or al fresco over winter, you can always be sure of a top day out at The Ripe Market. 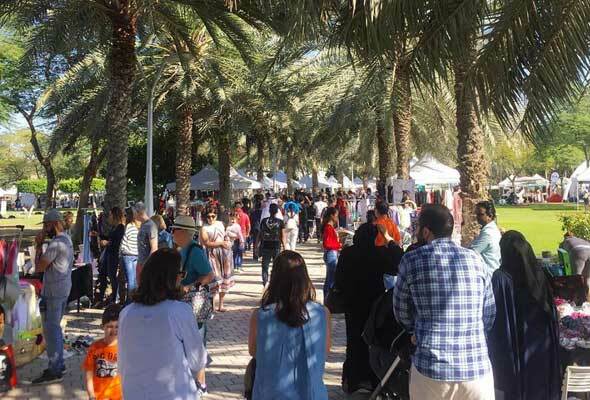 As well as supporting local boutiques and business owners for those looking to shop, The Ripe Market features food trucks, plus arts, crafts and workshops, as well as yoga, live music and heaps of other activities. This category is voted for by you. It rounds up the city’s best cafes and the finest regular offerings from its restaurants. 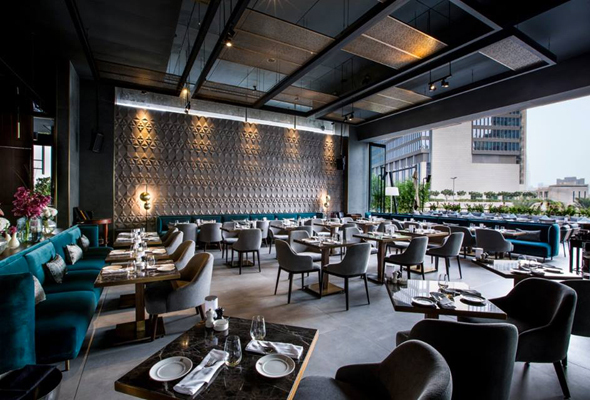 This top-class Italian restaurant in DIFC has been keeping office workers happy and well fed for the last few years but it’s keen to consistently stay at the top of its game. Not content with regularly reinventing its menu, it’s recently gone an extensive renovation, and has just debuted a stunning new look. 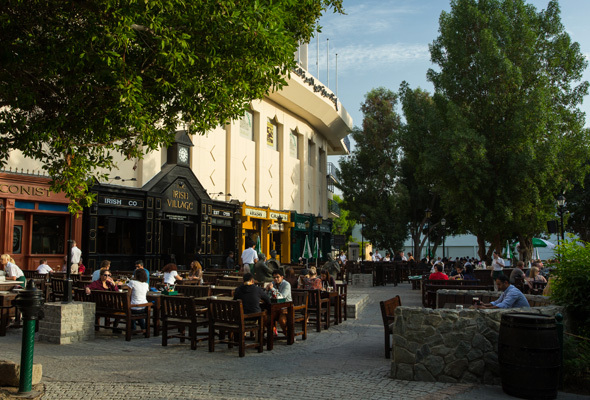 Dubai revellers can’t get enough of The Irish Village’s hearty – and tasty – pub grub. With its large outdoor patio and live music events, The Irish Village remains one the city’s most popular watering holes too. You’ll need to book if you want to get a breakfast or lunch table at The Farm – especially for one of the tables in the beautiful garden. Breakfast wise, there are classics like waffles and Benedict, but there are also healthy twists like the paleo frittata and vegan tofu scramble. This homegrown cafe in d3 promises healthy, heartful soul food, and that’s exactly what it delivers. 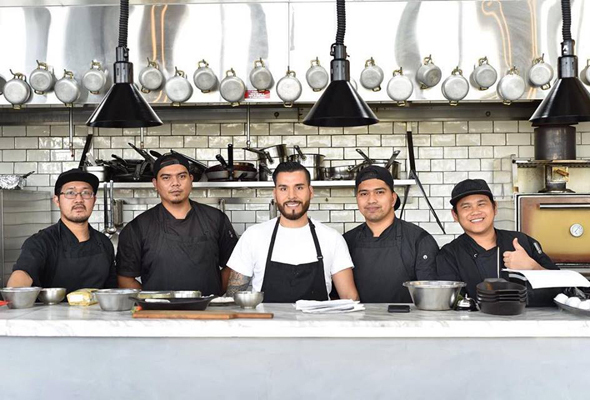 There’s a reason the food is so good: at the helm is head chef Roberto Segura, who used to run the kitchen at The Act. Happily, Craft Café is the sort of place that makes you want to linger with comfortable furniture, plenty of natural light and kooky design details like decorative bird cages. It’s a very family-friendly spot too. The sprawling mania of the Wanderlust brunch makes for a super fun day out. Kooky wooden signs guide you through themed zones of overwhelming and tasty food choices. It’s a lively party atmosphere that doesn’t compromise on food quality. With decor inspired by an all-American diner from the 50s, and a fully loaded diner style menu to match, it’s no wonder that this is a favoured pit stop for hungry shoppers at The Outlet Village. This category is voted for by you. 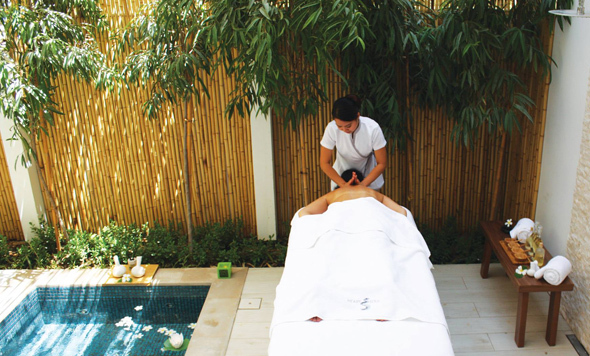 It rounds up the city’s best pampering and workout spots. The Nail Spa saw off stiff competition to pick up the award for Favourite Nail Bar. 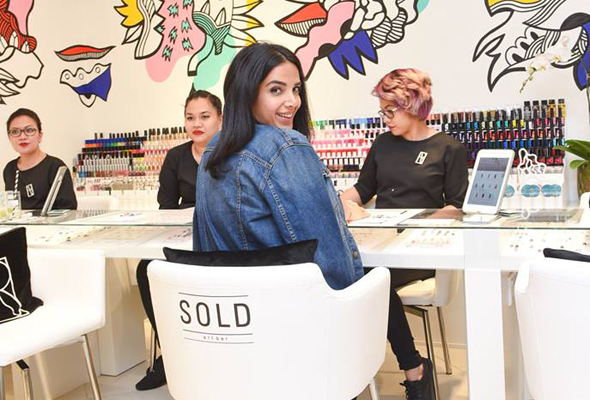 Mani-pedi emergencies are well taken care of at this popular salon, which has branches all around the city. We particularly love their attention to detail, the comfy chairs and the polish selection (they always have the freshest shades). 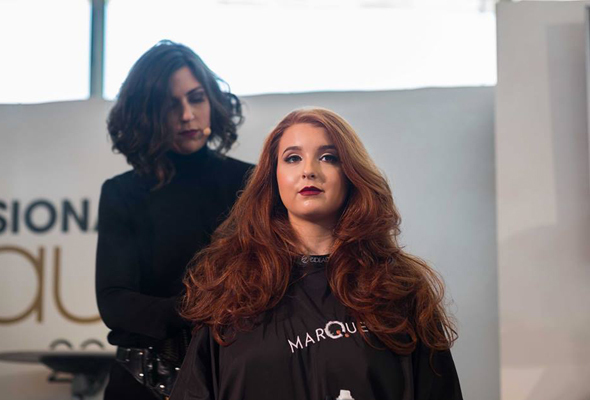 Whether it’s a bouncy blow, a quick trim or a complete haircare overhaul, the team at Marquee have you covered. With a range of treatments available across its three handy locations, their friendly team are always on hand to ensure you have the best salon experience. 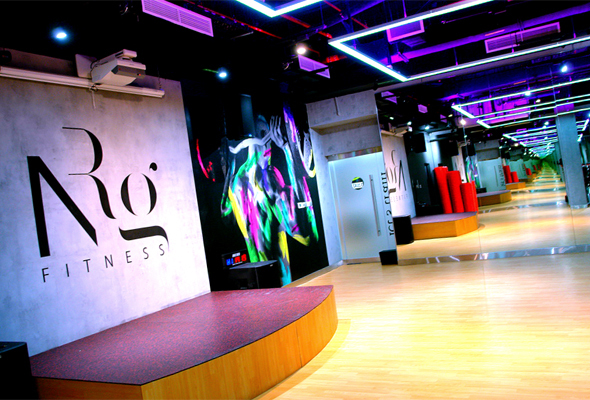 This trendy boutique gym in Dubai Marina has something for everyone. It’s the kind of gym that favours group classes rather than one-on-one personal training, and there are three studios: NRG Ride (spinning), NRG Train (Zumba, yoga, circuits and HITT) and NRG Focus (pole and aerial yoga). 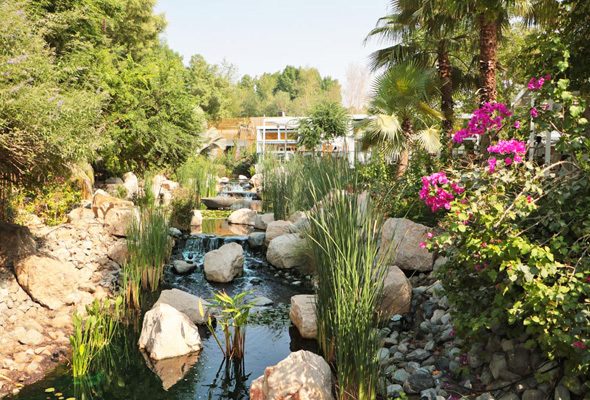 Set in the tranquil gardens of Al Barari, Heart & Soul feels a world away from the buzz of the city, which is really what you want from a spa. There’s a dedicated nail and hair care area, a sauna, hammam and steam room and a children’s area. They also put on lots of wellness-focused events, talks and workshops every month too – from meditation to life coaching, there’s something for everyone. This year Stella Artois has partnered with What’s On to deliver the Perfect Serve award. Stella Artois’s very own beer sommelier has meticulously trained 80 venues across the UAE over a three-month period, training more than 200 bar staff. The 80 venues – including our What’s On winner – have all learned how to perform the perfect four-step pour of the Belgian beer brand.